Prothane or high energy polyurethane rear sway bar bushing kit? 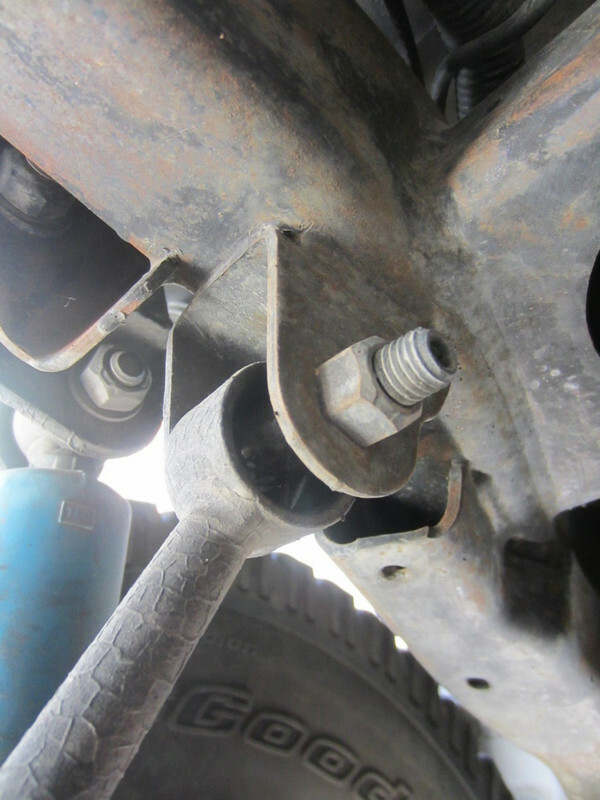 Topic: Prothane or high energy polyurethane rear sway bar bushing kit? After getting my free replacement airlift 1000 bags (lifetime warranty) I noticed all my rear sway bar bushing links are missing worn down and gone I'm guessing. I'm trying to get my 2002 avalanche Z71 6 inch RCD lifted ready for towing a RV I'm planning on buying one soon, probably around a 20 footer and around 6000 pound range or less, already ordered the trans cooler Derale 24 fin, stack type. So I'm thinking of going to polyurethane bushing and chassis mounts for the rear sway bar, anybody here install one yet? I see a bunch on Ebay for other vehicles, looks like I need the 2 chassis mount and 4 bushing ends pieces to complete it and do anyone here know what size diameter is the rear sway bar? I'm thinking polyurethane so they will last a lifetime and don't have to worry about them again for a while, also my bump stops were gone almost falling apart I found some but the were too short compare to stock had to return them I'm guessing it was 2003 on up. These seem like the right length it say it's for my vehicle but mine doesn't use a bolt to hold it place just snaps in, do I cut the bolt off? not sure.. 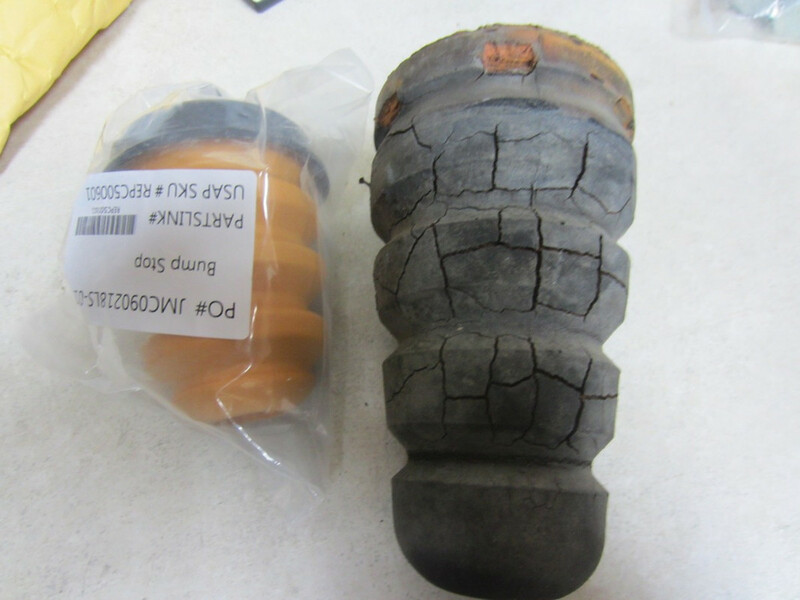 These are suppose to be the same part, just different material I'm guessing..
Re: Prothane or high energy polyurethane rear sway bar bushing kit? For the price go front and rear grease able polyurethane with new end links. Can't help with the bump stop.. Thanks I email some sellers they told me to call energy suspension directly, tech there said usually the other way around they just get orders and fill them. He told me to take some pictures of the sway bar with the missing ends, and maybe take some measurements and he will piece together what I need, will see. Early model had rubber bushing later version came with red polyurethane bushing. 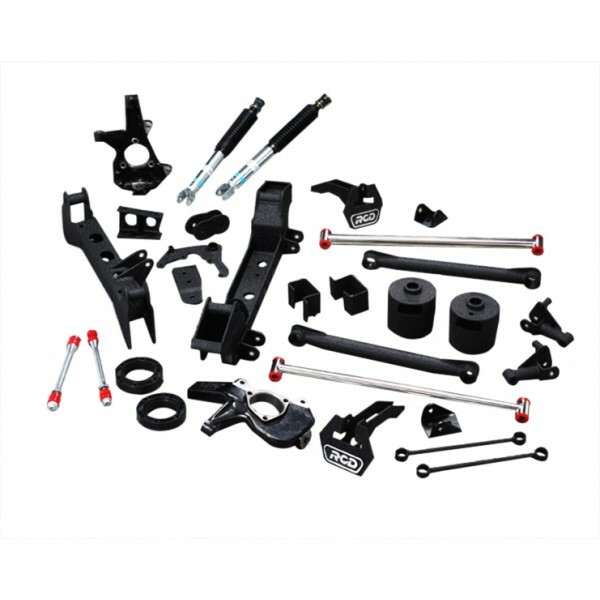 RCD P/N 20-69007 rear sway bar hardware kit $42.99 + $15 to ship. Rear sway bar is 28 mm can be order anywhere some with grease able fitting. The Missing end links, hopefully not badly rounded and can still be used. Her name is "Miss Indigo". Go Go Cladders! 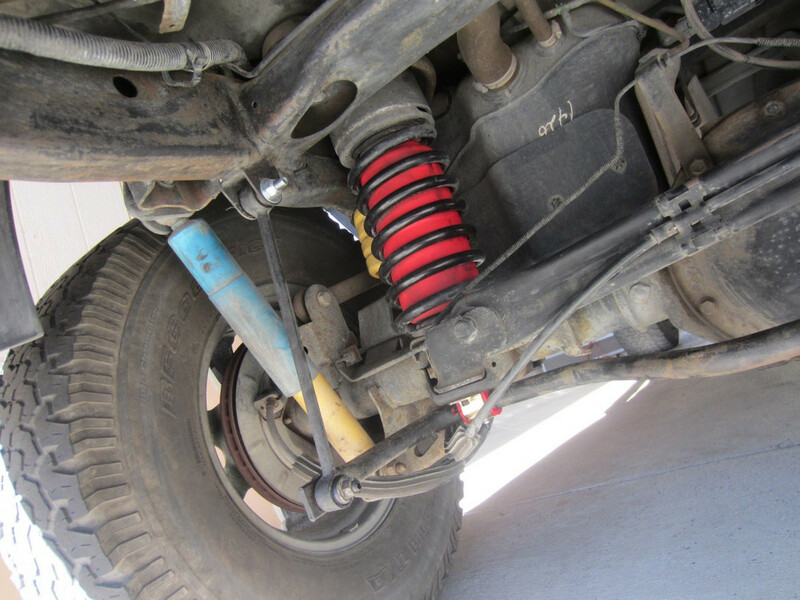 Whether you go with Energy Suspension (Have had them on our 2002 Z71 front and rear. 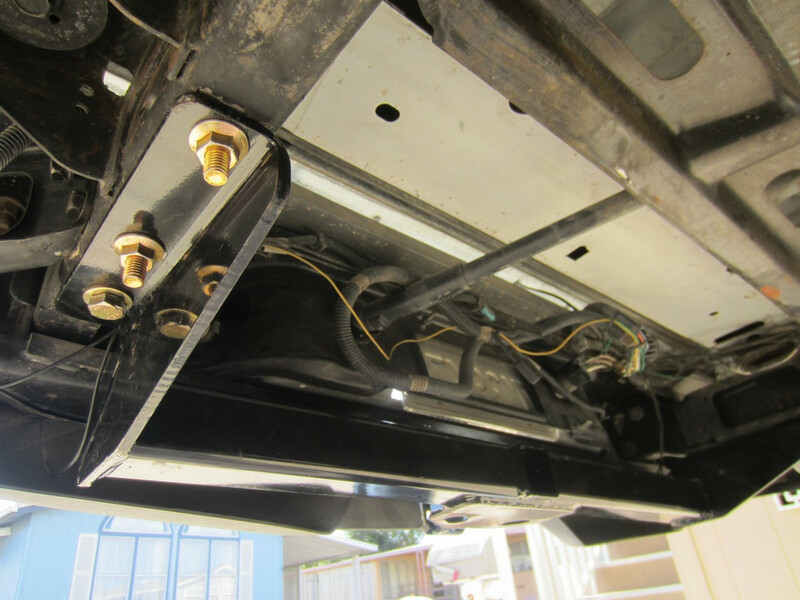 ), Moog (Currently on the same truck front after the Energy Suspension front end link broke recently due to rust.) or some other reliable brand, be sure to measure your front and rear anti-sway bar diameters and get the correctly sized bushings. I blindly ordered what Energy Suspension stated would fit my Z71 front bar and I finally realized they were too big (Bushing ID was larger than what the front bar OD was.). 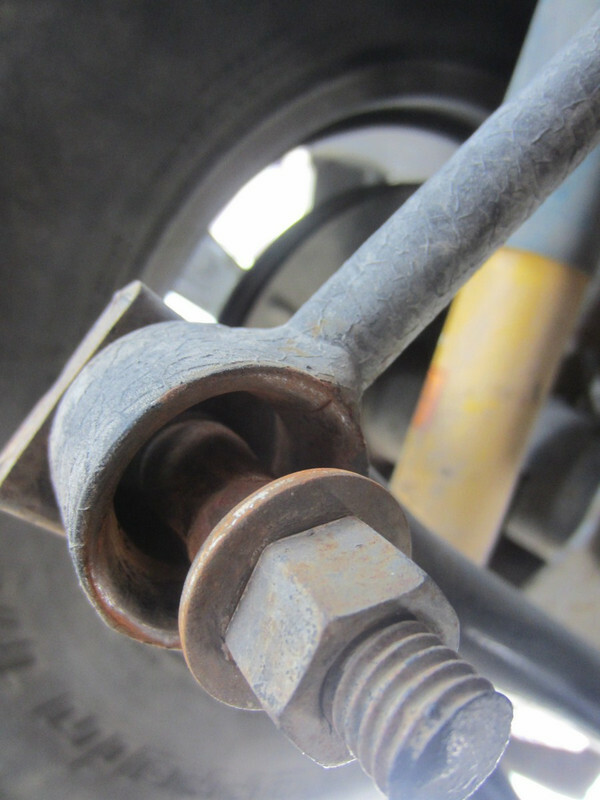 Be sure and measure what you have and get the correctly sized bushings. Then enjoy the new stiffer ride and corner handling. Factory: '02 IMB 1500 4WD Z71 w/Front & Rear Bench Seating, Trailering Pkg., 17"Stock Alum.Rims, 70R17 Goodyear Wranglers, GM AV Cladded Running Bds. Thanks I will, I called energy suspension and they were no help, they told me to call RCD directly and they had the rear sway bar hardware kit for the RCD 6 inch lift kit. I believe the front sway bar came with red sway bar polyurethane end bushings, but not the chassis mounts no problems measuring sway bar thickness I'll probably be upgrading them also during my upgrades, also I notice some areas with the POR15 applied could use a recoat still looks good underneath hardly any rust.. I found these I will email the seller.. 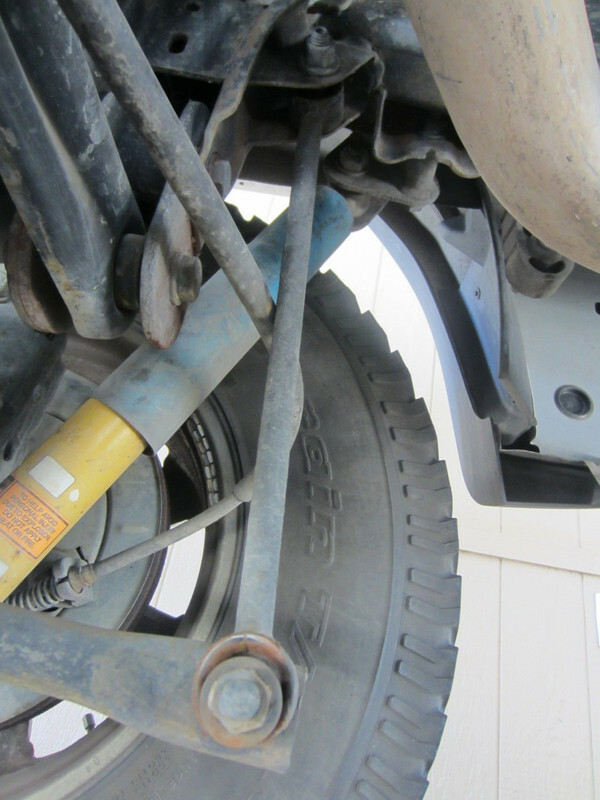 Check your lower A-Arm sway bar link location. Mine was worn out bad. replaced with a good used A-Arm and installed new bushings. Check this post out maybe it # for stops. The ones for the front was taken care of by RCD 6 inch lift kit has a maybe an 1 inch polyurethane red bump stop, both still there and looks good condition. The ones I ordered and you see pictured said it will fit my rear 2002 Z71 but as you can see way too small..I will send the picture to the GM online sites and other automotive places and see what gives.. I'll look when I get home from work, but I'm pretty sure the bump stop you took off is not the OEM model. I took mine off and replaced them with Timbrens since I have a plow on my truck, and yours are even larger than my Timbrens. Also, the stock ones do not bolt in. They just snap into that cup. Have you looked through here it's 2500 but there is a lot. I believe the 1500 is also talked about in here. These are the stock ones that came off my 2002 Z-71. I don't remember ever changing them out when I Install the lift kit. Here's a picture of that kit it shows bump stop extension brackets, and no new bump stops. Yes I know they don't use a bolt thought maybe you can still snap them off the bracket and still use them. I can't be the only one with bump stop falling apart figured someone had to replaced them in the past. I would like any members here to post up there 2002 Z-71 stock bump stops, I want to see for myself..
OK just call the local chevrolet dealer parts dept. I send him the picture of my stock bump he said it shows 2 types for the rear he going to order them be here tomorrow, said he couldn't give out P/N I don't want to really order from the dealer due to higher cost, these were $39 a piece so $80+ for the pair will see tomorrow, once I have these P/N should be on the packaging. Just got a call from Jason the parts dept guy he said the ones he was about to order was only 4 inches tall, going by the picture he manage to find them but on the 4x4 trucks and they were double the price at $80 a piece so $160 for a pair I told him I will go without bump stops. He said he felt bad and he would give me the part number to the correct bump stop GM P/N 15270578 found them on Amazon at $55 a piece..
or these cheaper price Original Equipment (OE) Part Number: 15270578 I ordered the Dorman came out to around $95 tax and all..
To save you from the hassle of returning the item(s), we will not ask you to send the part back anymore. You may dispose of it safely. if anyone here wants them just pay for shipping and I'll send them out cost was $44 total. 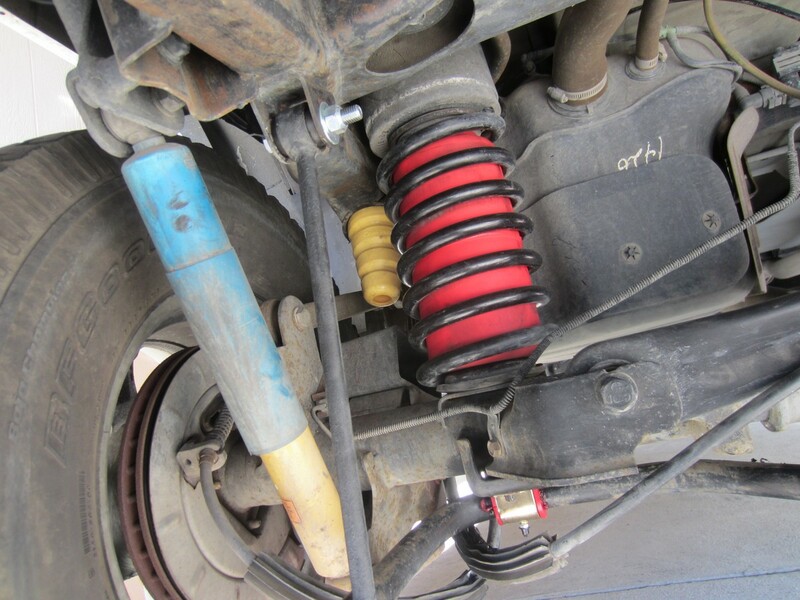 RCD rear sway bar hardware kit. Air lift 1000 35 psi..
Curtis class 4 14080 $145 Ebay ship. So far added Derale Transmission cooler, Derale 15451 Engine Oil Cooler Kit 12 ft hose provided wasn't enough had to order additional 5 ft. Added GlowShift 52mm Single Gauge Pillar Pod for 00-06 Chevrolet Silverado Duramax, Autometer black face transmission temp gauge.